When a restaurant claims to serve the best of something, I would expect the food to be nothing less than good. 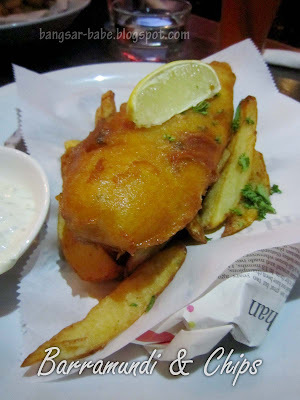 The Magnificent Fish & Chips at Changkat Bukit Bintang falls into that category. 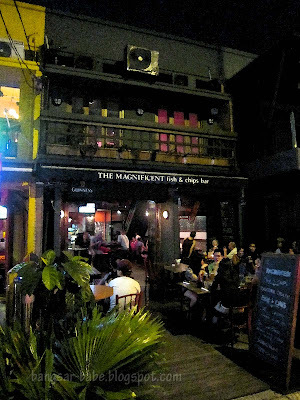 I’ve driven past this place many times, but only tried it recently, after some persuasion on rif’s side. I couldn’t turn him down – it was his birthday after all. 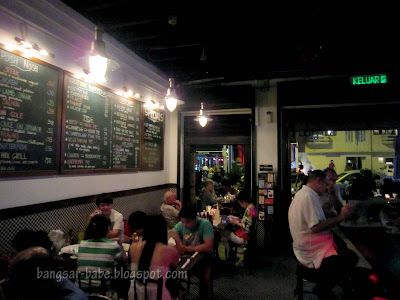 The place looked like a regular pub – wooden tables and chairs, with several chalkboards on the wall that acted as a menu. To decide on your order, you have to walk up to the wall and order what you want from there. Lighting was dim, so I struggled a bit with the menu. Service was poor that night; the staff were uninterested and inattentive, despite the restaurant being only half full. rif’s parents asked for a glass of water each, and the waitress told us they don’t serve tap water — only bottled water. I know some restaurants have a “we don’t serve tap water” policy, but this never fails to irritate me, especially when a bottle of water cost RM16. I would much rather order a beer. 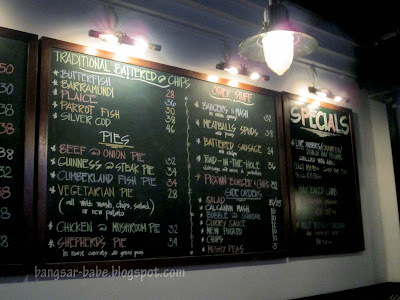 If you order the fish & chips, there are five types of fishes available – butterfish (RM28), Australian barramundi (RM36), plaice (RM30), parrot fish (RM38) and silver cod (RM46). rif had the barramundi and his father, the plaice. His mum tried the beef and onion pie (RM32). I pondered a while between the big breakfast (RM28) and full Sunday roast (RM48, or RM58 with a dessert); the latter won. The fish & chips came on a piece of parchment paper, which separated the fish from the newspaper base. Between the two fishes, I liked the plaice. This fish was nice and tasty, with big white flakes and a crispy batter. Portion wasn’t very large though. 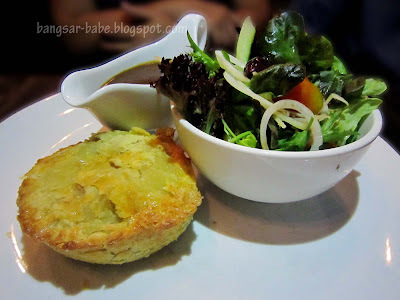 rif’s barramundi was horribly fishy. I could smell the muddiness when he cut through the batter. When I enquired, the waitress merely replied that barramundi always has a fishy taste. I’ve eaten a lot of muddy-tasting fish, and this was one of the worst! The chips were thickly cut, crisply fried and nicely salted, but portion was scant. My Sunday Roast tasted like the one I had in UK. Difference is, the portion in UK is almost double of this, and for only £6.49. 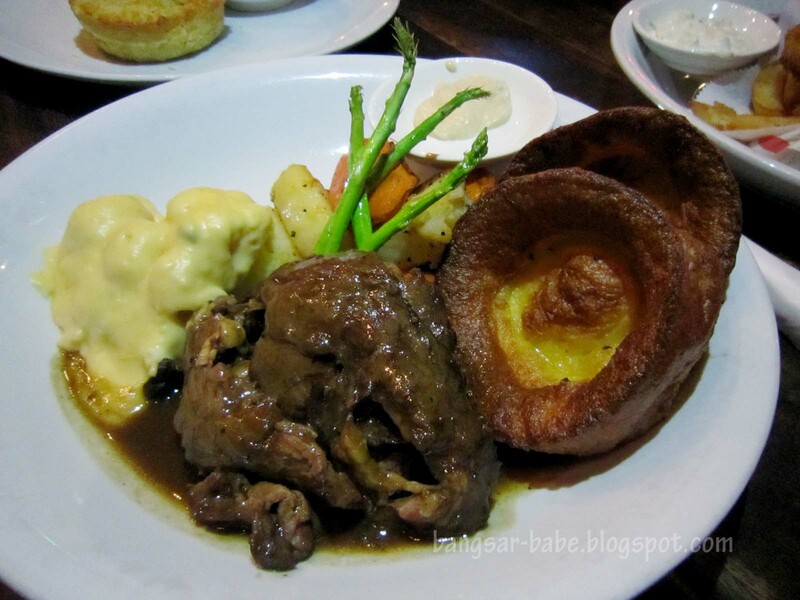 The Sunday Roast here comes with a choice of beef, chicken or lamb, roast spuds, carrots, couli ‘n’ cheese and Yorkshire pudding ‘n’ real gravy. I chose the beef. 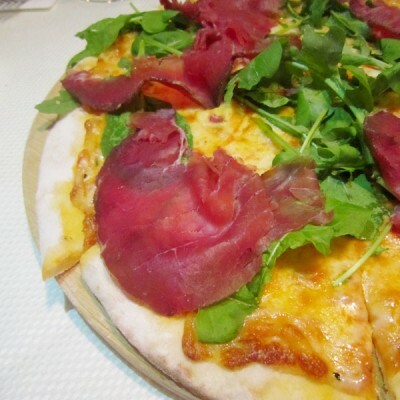 I like my roast beef pink and soft at the centre, and it was just that! 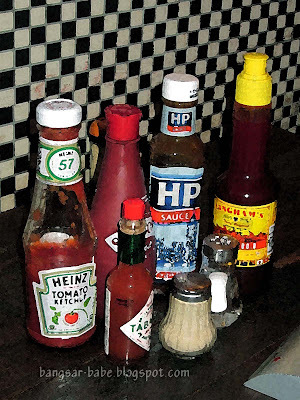 Very delicious, especially with some mustard. The Yorkshire pudding had a flaky, yet crusty exterior and a soft centre, which soaked up the gravy and beef drippings nicely. 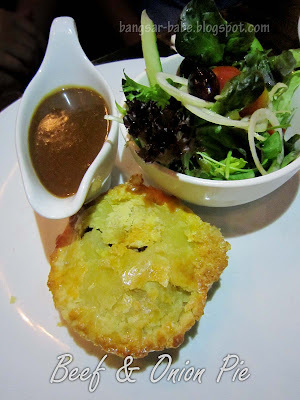 When the beef & onion pie was served, I couldn’t help but notice its puny size. I complained about the size of the other dishes, but this one was the worst. It was about the size of my palm; and my palm isn’t very big. While the crust was flaky and the pie filling was nicely flavoured, it tasted quite ordinary. I did however, like the brown gravy that came with it. It was thick, beefy and slightly peppery. 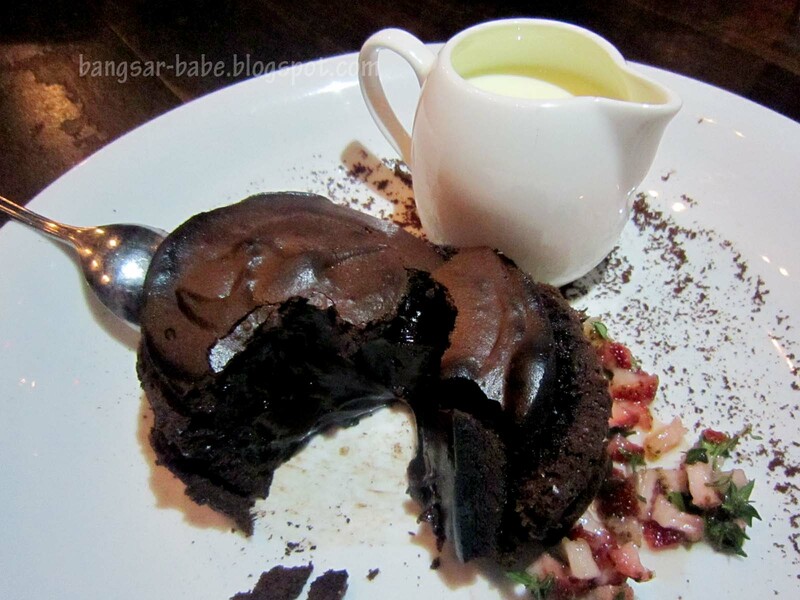 We shared the dessert that came with my Sunday Roast – The Chocolate Fondant. Without the Sunday Roast set, this would cost RM20. 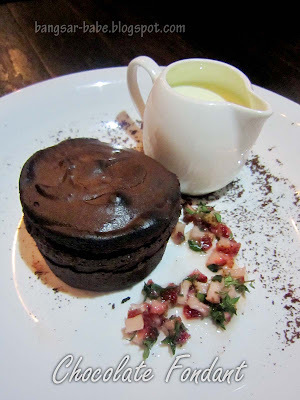 They served the fondant while we were halfway through our mains. This annoyed me, because I didn’t like leaving the chocolate fondant on the table. It’s supposed to be eaten warm. That aside, it was nothing to shout about. The chocolate centre was overly thick and gloppy, and it was too sweet. Some parts of the edges were burnt, so that was no fun eating. Dinner had its ups and downs. Prices were on the high side, and the food wasn’t really magnificent. Decent, yes. “Magnificent” was an over-claim, in this case. Verdict: Skip the barramundi when you order the fish & chips. 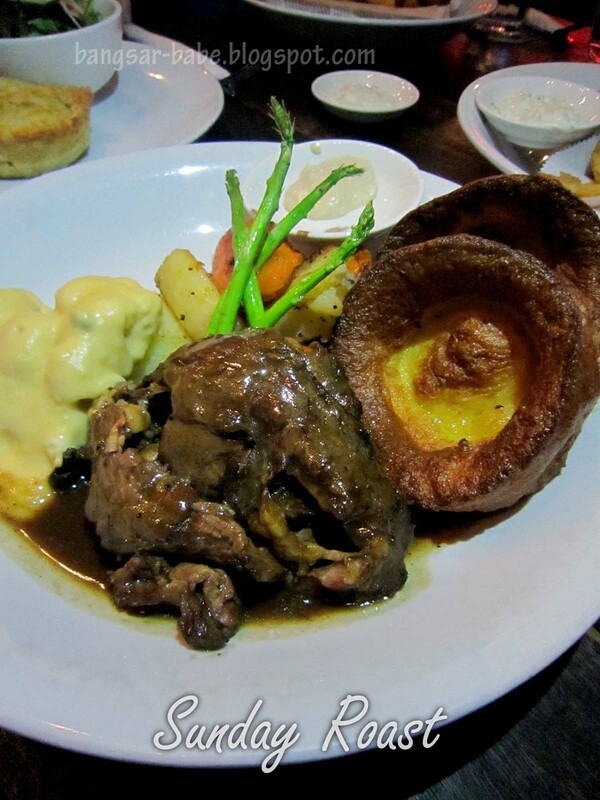 If you have $$ to spare, the Sunday Roast is a good choice. i remember having this years ago and was quite impressed. looks like its no longer the case if the beef is better than the fish eh? 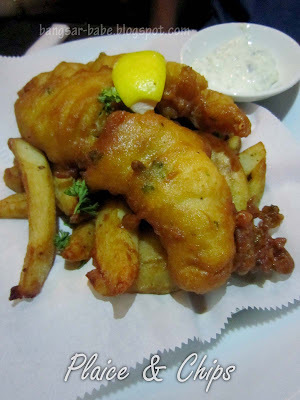 KY – I liked my dish, but rif's fish & chips were really disappointing. We'll definitely stick to the plaice if we go back. Barramundi is known as Siakap in Malaysia. If it has a fishy earth like smell, means it’s farmed fish. Not wild. The smell comes from the fish feed they use.